Trello from Atlassian is essentially what Jira (also owned by Atlassian) would be if it were designed with project management alone in mind. It uses the same card and category approach that Jira offers. The difference is that Trello’s cards offer a wealth of information when you click on them including team members involved in the task, comments, checklists for subtasks, due dates, attachments, and labels. Trello doesn’t have a ton of features when you start a new board, but the Power-Ups extension catalog allows users to customize Trello to suit their needs with features such as Timeline and calendar views, as well as integrations with third-party tools such as Dropbox and Zoho CRM. Trello started life as a product of Fog Creek Software (now known as Glitch) in 2011; it was eventually turned into its own company before being purchased by Atlassian in 2017. 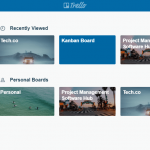 The fact that Trello didn’t start life under Atlassian is kind of surprising, because just looking at Trello you can see a lot of shared traits with Jira, Atlassian’s project management tool geared towards software development. Trello uses a similar Kanban board interface as Jira, and it offers as much simplicity as its corporate cousin. The big difference is that Trello is clearly built for generic project management with task cards that support far more detail than Jira’s. To start, Trello offers a free tier with a basic feature set, and then you can upgrade as needed with two payment tiers. Trello’s fundamental data structure starts with teams, as many project management software tools do. Then you have boards, which are best thought of as cork boards for pinning tasks written on index cards. The basic idea is to use a separate board for each project or client. Then there are lists where you organize your tasks such as “In process,” “Pending approval,” or “Completed.” Finally there are cards, which are the basic units where you input your tasks, responsible team members, and other details. Trello claims its product is flexible enough to accommodate any project, or day-to-day jobs that require task lists. It doesn’t have quite the same flexibility as something like Monday.com simply because its interface and data hierarchy is much simpler. Nevertheless, there’s a lot to like about Trello’s basic approach. Trello users start life on the free tier, which has no limits on personal boards, and a healthy cap of 10 shared boards for teams. Like Jira, the idea with Trello is that you manage tasks by moving the cards between different lists on your board. What those lists are named is completely up to you. Task cards might start life in a “Not started” list, before moving over to “In process,” and then finally, “Completed.” As the task cards move through these different stages users simply have to drag-and-drop them to the next list. The downside of the free tier is that the use of Power-Ups is limited, and many key features needed for project management just aren’t available without that extensibility. Trello also doesn’t have task dependencies, though you can use the site’s linking features to achieve a similar result. It’s also lacking a calendar view and a timeline for seeing all the tasks at once; however, both of those features can be added via Power-Ups. Trello’s third-party integrations and extensions for added functionality are known as Power-Ups. 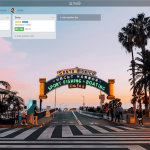 Similar to extensions built for the Chrome and Firefox browsers, Power-Ups can be created and submitted by other Trello users, third-parties, or Atlassian itself. There are tons of Power-Up options such as Butler for task automation, timeline views, Gantt charts, and integrations for popular work tools such as Slack, Google Calendar, Google Drive, and Salesforce. There’s even a voting plug-in if you want to poll your team on a certain issue. Every single team member on a Trello board receives their own personal email address for the board. They can then send an email to the board to add a new task, or forward messages that are then automatically converted to tasks. There could be a board dedicated to filling a specific company position, for example, and then every application received via email could be forwarded to the board. For each email the subject line becomes the task card name, the written contents of the message become the details view, and any attachments are included as well. It’s a very handy feature and a good way to get information into Trello from multiple places. This video from Trello shows the basics of the project management tool including how to navigate the app, and how to organize tasks and lists within boards. As we mentioned earlier, Trello pricing starts at zero with unlimited personal boards (viewable only by a single individual), 10 team boards, unlimited cards, unlimited lists, 10MB per file attachment on task cards, and 1 Power-Up per board. That last limit is really the key issue as Power-Ups are how you add a lot of common project management tools to Trello. The free tier also limits the amount of automation you can do for your board if you decide to use Butler. Going up to the Business Class tier will cost $9.99 per user, per month billed annually. This tier supports the same unlimited personal boards, cards, and lists, but adds unlimited Power-Ups, unlimited team boards, and raises the per-attachment limit to 250MB. It also adds priority support, custom backgrounds and stickers, the ability to group boards together, unlimited Butler customization but a limit of 1,000 automation runs per team under 200 users. You also get advanced administrative permissions, Google single sign-on, and a simple data export mechanism. Finally, there’s the Enterprise tier, which has variable pricing depending on the number of team members. To use Trello with 100 Enterprise users, for example, costs $20.83 per user, per month billed annually. This tier supports all the features in Business Class without much in the way of increases–the file attachment remains at a hard 250MB. But Enterprise does offer unlimited use of Butler including “advanced automation” features. Trello Enterprise also adds key features big businesses need such as single sign-on for SAML IdPs, administrative control over available Power-Ups, attachment restrictions, permissions, and public board management. Trello is a great tool for anyone who appreciates simplicity and an intuitive drag-and-drop interface. The free tier is annoyingly limited in functionality hiding some project management basics behind its Power-Ups extensions catalog; however, the free version is still ideal for individuals who need to get organized or even small teams with basic needs. Trello’s pricing is nothing to get excited about meeting the market cost of $9 to $10 per user, per month to start, but it does offer variable pricing for larger organizations. 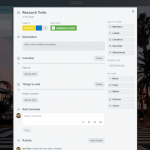 If you prefer a simpler approach Trello is well worth a look, but if you need a high level of functionality with various features built-in then Trello may not be the project management software you’re looking for.